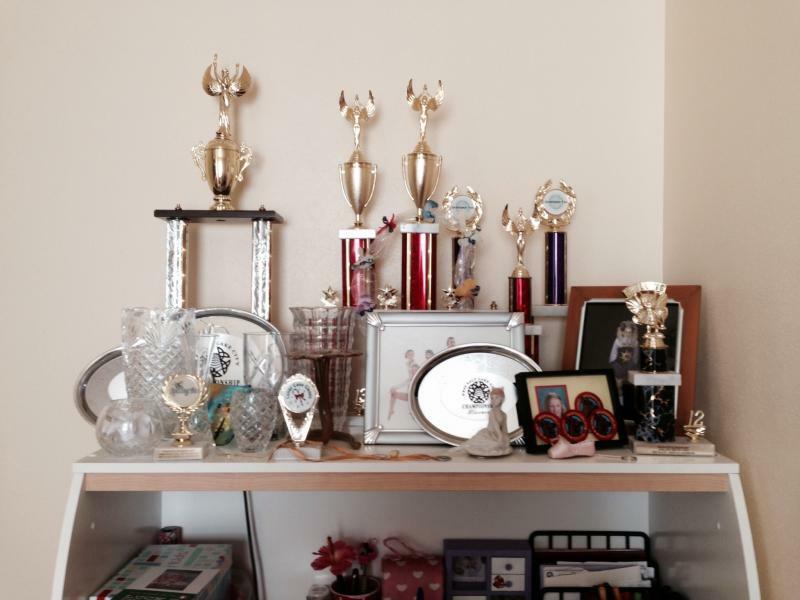 dance.net - Show me your trophy shelf! (10201250) - Read article: Ballet, Jazz, Modern, Hip Hop, Tap, Irish, Disco, Twirling, Cheer: Photos, Chat, Games, Jobs, Events! 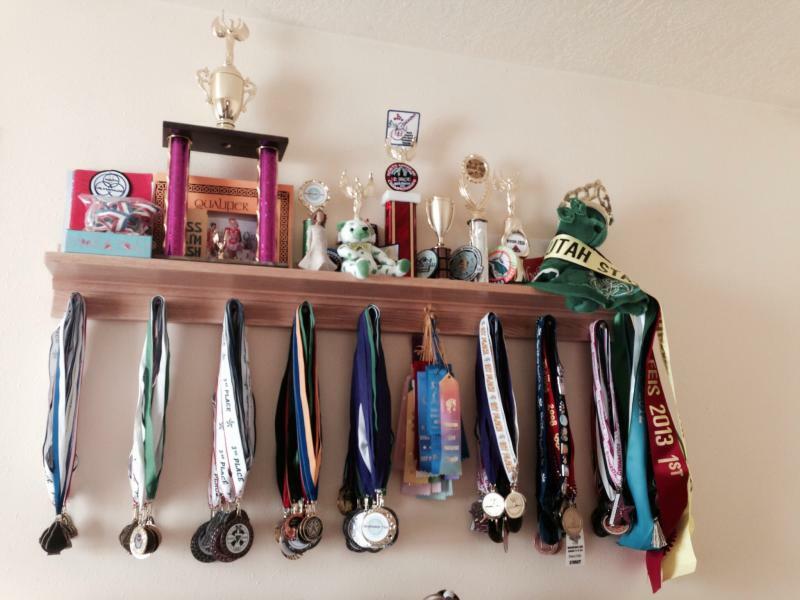 Show me your trophy shelf! 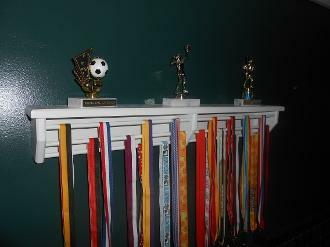 8 Replies to Show me your trophy shelf! re: Show me your trophy shelf! Not to get your father-in-law off the hook, but have you checked the shelf selection at IKEA? I'm so glad someone posted this. I totally want something like the picture above for Christmas too. I've been saving all my competitor numbers and everything! My MIL replied with "I guess I need to know stain and dimensions" so hopefully its happening I'm hoping for one with the bar across the bottom for sashes. BTW I found the pic on google. 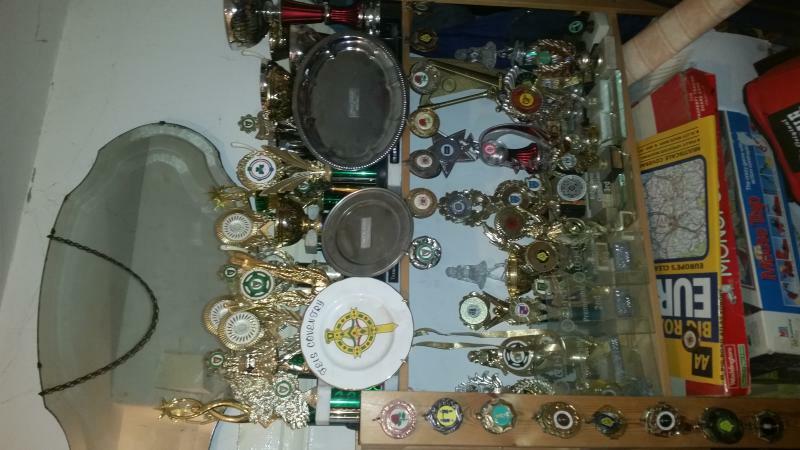 Mine are in my parents house in a repurposed antique gun cabinet, along with my brothers trophies from whatever they were doing to earn a trophy. It is a bit overflowing. Mine are on a shelving unit. Unfortunately these are in out cloakroom so not on display, but a good shelving unit is always a great option because of the extra storage for other things too. I have a narrow dining room buffet/hutch? - drawer and doors on the bottom, and glass doors with shelving on top. It's still in my dining room but I will be turning it into a trophy display case. Maybe check out old furniture at tag sales, thrift shops, antique stores. Thanks for posting this request. Our entire family competes in feisanna. We could do a shelf for each family member, at this point. Right now, we have a shelf for each year. But, we have done pretty well this year. RIght now, most of our trophies are at our dance studio, in town. But, after this month, they will all be returning home.